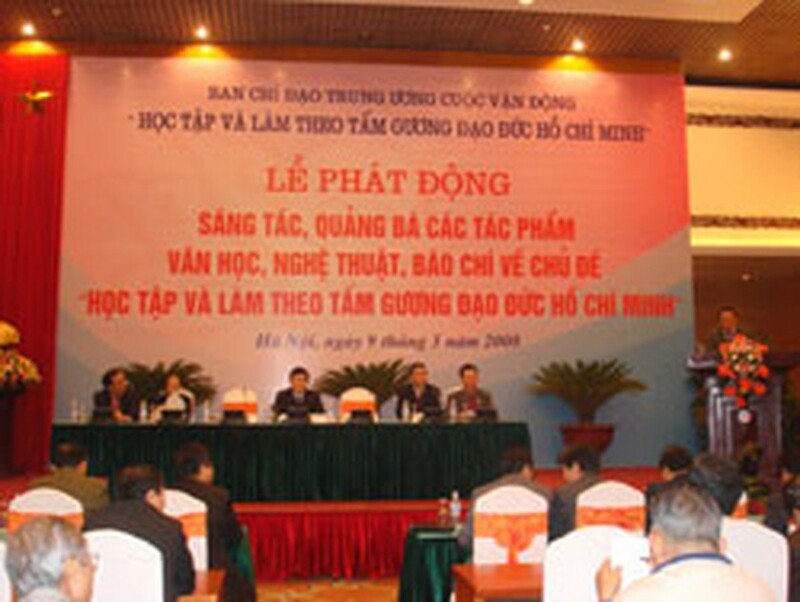 A ceremony to foster the creation and distribution of art, literature, and newspaper articles on the theme “Study and follow Ho Chi Minh’s moral example” was organized by the Central Propaganda and Education Board in Ha Noi yesterday. The campaign will emphasize the deep value of Ho Chi Minh thoughts and of his moral example and encourage the public to study and follow Ho’s example. It will also highlight the important role and responsibilities of writers, artists and newspapermen. Among those attending the ceremony were Mr. Truong Tan Sang, member of the Politburo and Standing member of the Secretariat of the Vietnamese Communist Party Central Committee, as well as many writers, artists and members of the press. The mass media plays an important role in broadcasting art and literature that will offer further insight into Uncle Ho’s profound thoughts, Mr. Sang told the audience attending the ceremony. Literature and art associations and press agencies were urged to create favorable conditions for their members to create appropriate works. Individuals and groups that have successfully followed Uncle Ho’s moral example will be presented to the public via the mass media, added Mr. Sang.